Candlelight is shimmering golden bronze with a luminous finish. 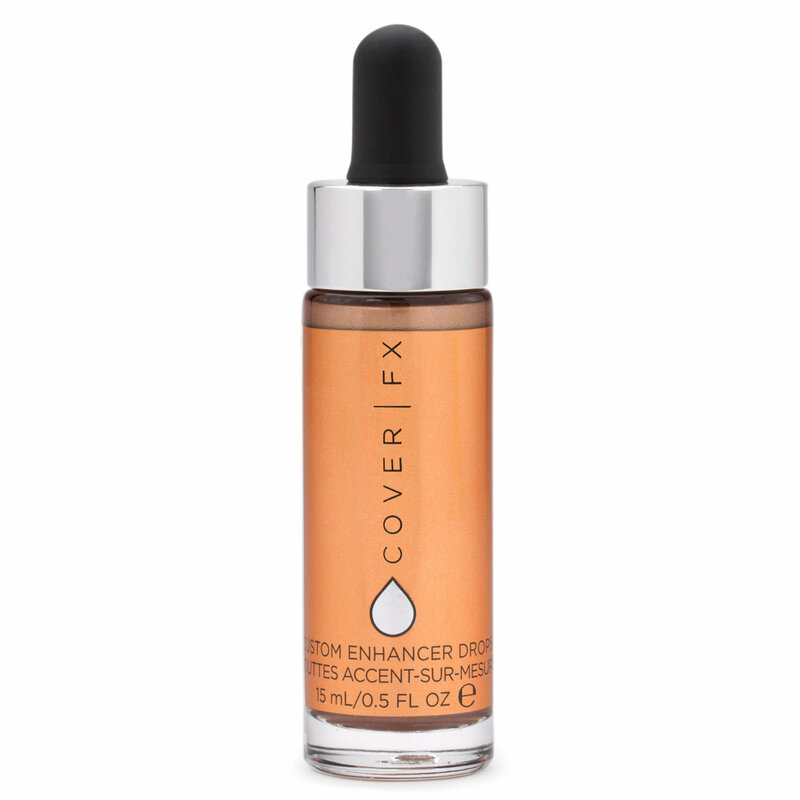 Customize your perfect glow with COVER FX’s best-selling illuminating and bronzing drops. Simply add them to your foundation, primer, serum, or moisturizer to create a fresh, luminous canvas for the rest of your makeup. Endlessly versatile, these drops can also be used alone to create a buildable highlight or sun-kissed tint. Shake well before use. For an intense strobing or bronzing effect, use alone and apply with your fingertips or your favorite beauty tool. For an all-over glow, add a few drops to your favorite liquid foundation or skin care product. The more drops you use, the more luminosity or bronze you’ll get. Absolutely love these enhancer drops. They add a metallic bling like no other. Top to Bottom: Moonlight, Celestial and blossom. Moonlight has a more goldeny sheen, celestial more silvery with a hint of pink. I bought these 2 first and loved them so decided to buy the latest Blossom shade. It is as advertised and gives a very nice metallic pink glow. 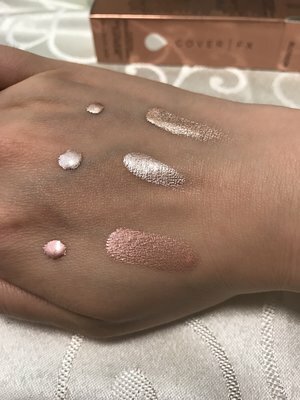 You can definately sheer these out with a beauty blender before they set for a more 'natural' glow or dap them onto the center of the lids for more of a BAM glow. Love them! I was very hesitant of trying these drops until i saw the Halo shade, it gives you a beautiful blueish purple duo-chrome glow. It is gorgeous when used as a highlight or mixed into the foundation to "cool" down the shade a bit and add more luminosity. A truly versatile product. I love sun kissed the most! added it on my foundation and its giving me a lovely natural bronzed look! if you guys prefer not to have illuminators or shimmer, id say go for this shade! its lovely! celestial kinda disappeared on my skin (am neutral combination) with yellow undertone.. guess this ones really good for people with really light and porcelain skin! I'm new to serious makeup, so I was nervous about buying this, but I loved the way this shade made my skin tone glow. It was so beautiful, I had to literally force myself to put it down. Due to my oily skin, I use it as a highlighter and even in my unskilled hands it looks fantastic! This are crazy innovative, so intense, so gorgeous, so pigmented, etc, etc!! 1 drop is all you need to highlight both cheekbones. A little goes such a long way. I've been obsessed with sunlight all summer. It's just perfect!! Sunkissed is awesome to give that fresh sunkissed summer glow. It’s not orange, it’s not brown it’s just a true neutral and can be added to foundation, primer, serum, and moisturizer. This retails for 42.00 for 0.5 oz, which in actually makes it the more expensive than some of the other popular liquid bronzers. But because it's such a gorgeous shade, easy to use and so pigmented it's worth the splurge. This one flew off shelves this summer faster than the runners at the Olympic time trials and I am still waiting for the other shades to come back in stock! Absolutely love this!!! Use this to bronze my face and head and it works amazingly. A little goes a looooong way, so you do not need but one or two drops. Definitely recommend.